At every high school reunion, you will always find that one jock who peaked in high school and can’t seem to let it go. He always comes back wearing his old varsity letterman’s jacket with his hair combed just a little too perfectly, and he’ll start off every conversation with “you remember the time when...” before delving into some long story no one else remembers. This guy will probably still be reliving the “glory days” at the next reunion — and every reunion after for that matter. Some people just can’t accept that they are on the decline, and they just refuse to exit the game gracefully. On a completely unrelated note, Rich and I will be stepping down from the helm of this sports column. Every great era in sports must come to an end. For some, the inevitable is hard to face, as they attempt to salvage their final great moments, pushing their bodies to the absolute limit. Brett Favre comes to mind — a great who couldn’t bring himself to part with the game he loved. Although it was a difficult decision — one that we definitely made for ourselves and was definitely not made for us — we have concluded that it would be better to leave our audience craving more, wondering what could have been. We imagine it as something similar to the careers of all time greats like Darko Milicic and JaMarcus Russell. Michael Jordan once said, “I have to leave the NBA to pursue a career in the MLB because I have a gambling addiction.” Rich and I find ourselves on a similar path. It’s funny how legends seem to fall upon similar walks of life. Our endeavors have led us into activities that we probably can’t discuss in this article, and unfortunately Rich will be moving to China. We regret to inform our readers that we will probably be in a ditch within the next few months, but the ride has been real. Similar to Jordan, though, there is a potential light at the end of the tunnel, and I wouldn’t be surprised to see a resurrection of this great column, similar to MJ’s career revival back in the NBA. Also, none of this is true. Despite allegations of illegal substance abuse, we would like to make it perfectly clear that this exit was not forced, but voluntary. Similar to our role models, Barry Bonds, Alex Rodriguez and Lance Armstrong, we have reached a pinnacle of greatness due solely to the hard work that we have put into our endeavors — and not because we used performance enhancing drugs. The administration is definitely not forcing us to leave, and this exit is as graceful as they come. In all seriousness, writing this column has been a fantastic experience for both of us, and we want to thank the academy. By academy, we obviously mean Hank and Fish, who set the stage so well with “Riding the Pine.” This would not have been possible without them, and we are grateful for the work that they put in. 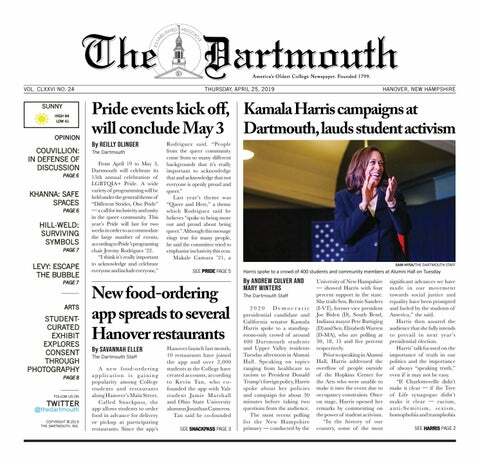 We would also like to thank the editors at The Dartmouth, who probably fixed hundreds of typos in our work. Finally, we would like to remind all of you that we thank the academy.